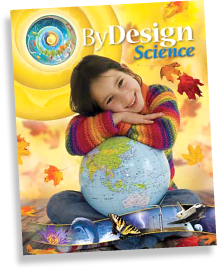 If you or your school is using By Design Science in your 1-8 classrooms, the online teachers’ resources are provided FREE with your science purchase. Kendall Hunt provided the login instructions and information to your school when the program was purchased however if you are new and or have forgotten your password and PIN# please feel free to send an email to Lynn Molony lmolony@kendallhunt.com. Components of the program include the Teacher Edition, Student Edition and the Student Science Journals (traditional and multi-grade). If you already have access please make any necessary updates (examples: new teachers, teachers changing schools and/or classroom, and updating classroom student rosters), into the By Design Science resource site. All pre-made formal assessments are available online in the Kendall Hunt Cohesive Assessment System. This includes publisher-quality question banks that you may use to customize practice worksheets, quizzes, and tests by lesson, chapter, or unit. These may be used as informal or formal assessments to meet the specific needs of your students and your classroom. Additionally, the online assessment tool includes complete, ready-to-use chapter tests. Engage your students in this immersive supplemental science resource. Studies show that students who use virtual reality--an experiential method of learning, have increased test scores and longer lasting knowledge retention. Victory VR has paired with By Design Curriculum to create lessons allowing students to go deeper into the content while it’s reinforced in a stimulating way. The By Design Labs team has developed an engaging and expansive investigative experience for our Adventist education science students. The 21st Century learner will be digitally transported to a variety of environments and enabled to perform their labs in a variety of situations. The intent of this system is that it will be available to all Seventh-day Adventist schools as a gratis service of the North American Division of Seventh-day Adventist. The following Daily Lesson Guides contain materials that correspond with the unit of science. Consider including some of the extension activities available within the Daily Lesson Guides in the unit of study. When students make connections in Science with what they are reading in Language Arts class, the more their retention in both subject areas will improve.